Found these while working in the backyard today. 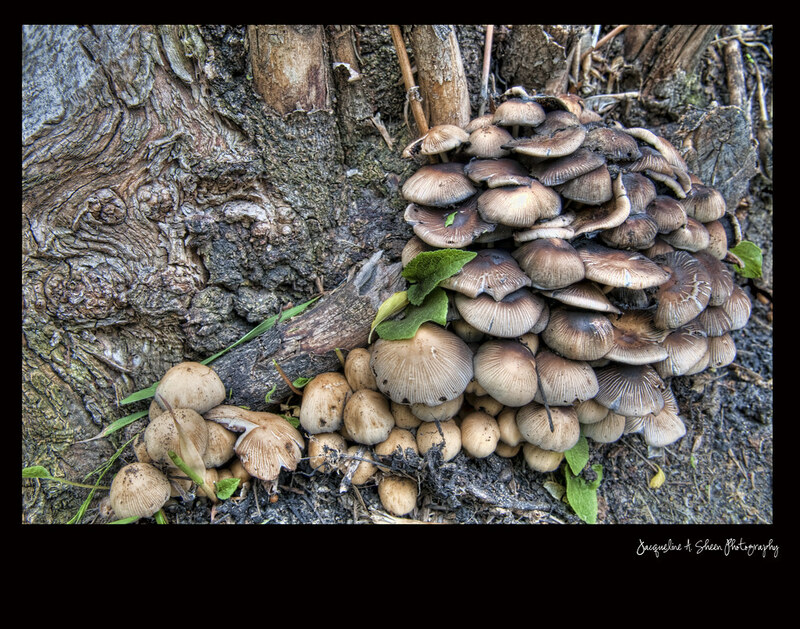 They were growing on a dead tree stump- actually on the neighbour's side. Personally, I find wild mushrooms kind of gross and creepy. This whole thing quivered. Gross, gross gross. Anyway, I managed to photograph it, and work it out as an HDR. It did not really need to be HDR'd but it was good practice. Bleh, I do not even like looking at them in a photo. excellent example of HDR done well! Looks good to me too and mushrooms - love em - not creepy, tasty. nope not creepy at all! But very well done! Now I see when a HDR is need it.